Wheatboard, also known as Ecoboard, is the next generation of MDF fiber board. It is completely environmentally friendly. 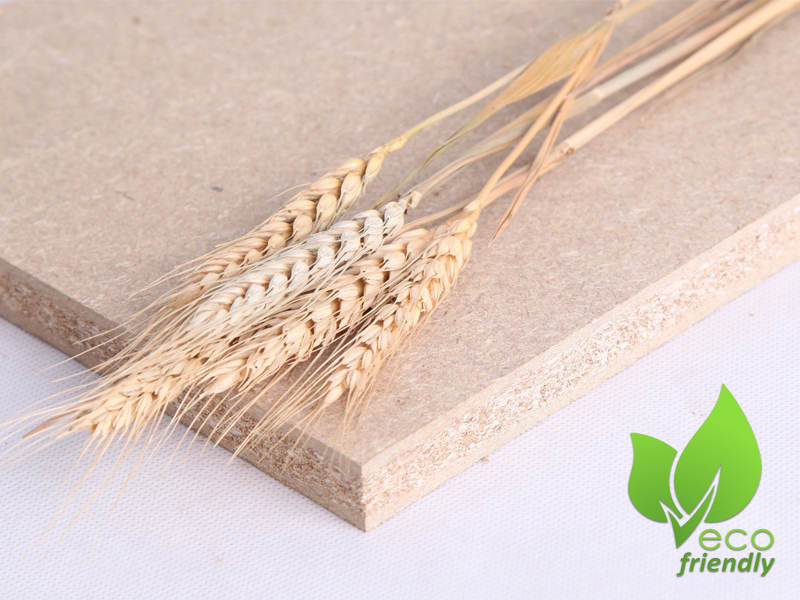 Wheatboard is made of 100% high-quality natural wheat straw, not wood. It is comprised of agricultural fibers that are left-over after harvests, by-product that is usually disposed of. Using an advanced processing technology, the result is a board that is far superior to other MDF or particleboards that are on the market today. Wheatboard is a truly formaldehyde-free product, which puts an end to the history that all wood-based panels release formaldehyde. It is produced in a continuous heat press process, using formaldehyde-free adhesive (P-MDI). The straws used as the principal raw material in Wheatboard are derived of from the strong tough fibers in plant stems and are bonded by modified MDI, which is straw-binding oriented. As a result, our Ecoboard has both the advantages of the wood particle board and of medium density fiberboard (MDF), making it the ideal upgrade product for traditional wood-based panel. Besides releasing no formaldehyde, Wheatboard creatively adopts straw fiber to replace lignified fiber, giving it an excellent physical property, which outstrips ordinary artificial board. Wheatboard is made from recycled wheat straw fibre, glued with MDI makes you feel healthy as your heart (MDI applied in heart valves). According to the National Panel Testing Center, formaldehyde emissions for this product have been measured at 0.02 mg/L, which is one tenth of the amount allowed by the European E0 standard. This minimal emission comes from natural substances contained in the straw stalks. The eco-friendly adhesive MDI, has strong reactivity so that it can react with straw cellulose molecules to form firm, irreversible new chemical bonds, working as effective bonds inside the board. Due to the way that the polymers combine together firmly and steadily, MDI has been widely used in the automobile industry to make bumpers, brake pads, dampers, and more. MDI has also been applied to military arena, as an important material in manufacturing armor, bulletproof helmets and armored vehicles. Thus, Ecoboard has the advantages of hard texture, steady shape, high strength and good ability in bearing weight and resisting deformation. Large amount of natural wax layer applied to the surface of the straw fiber has a damp proof effect for Ecoboard, like the paraffin additive in damp proof slab. In addition, MDI itself plays an important part in producing waterproof coating and sealant. After MDI reacts with straw fibers, the polymer composite structure formed in the reaction has good hydrophobic properties. Consequently, Wheatboard is not easily absorb moisture. Furthermore, its volume tolerance after being affected with dampness is superior to ordinary artificial boards. Straw fiber contains a great deal of silicon dioxide, which is a natural fire-proof material. Relevant test result also show that this product, even in without adding fire retardants, could meet the requirement of B2 instead of C for ordinary boards. When Wheatboard is on fire, it can only become carbonized, rather than spreading to other objects. Ecoboard is quickly gaining popularity in the residential furniture industry, office furnishing, flooring and with construction and the building industry. Wheatboard is made of 100% natural wheat straw fibers and formaldehyde-free adhesives （P-MDI), represent a healthy and sustainable solution for interior design and furniture manufacturing. In addition to furniture applications, construction, interior decoration. Wheatboard can also be used for specialty technical packaging materials and white boards.